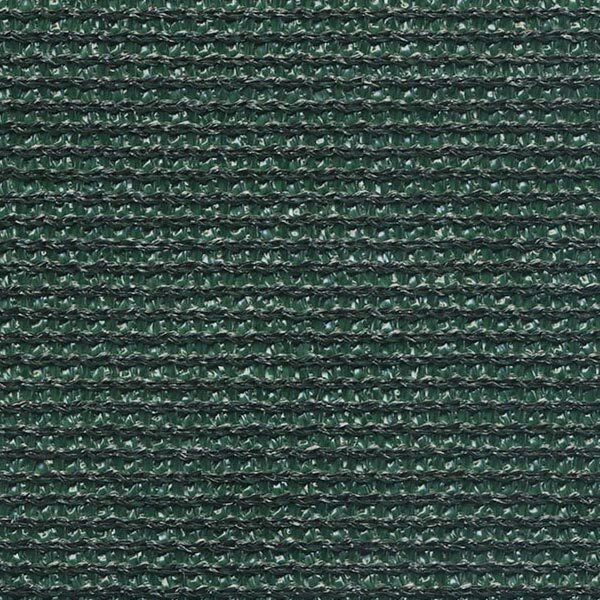 Shade cloth is a lightweight knitted polyethylene fabric that provides plants and people with protection from the sun. 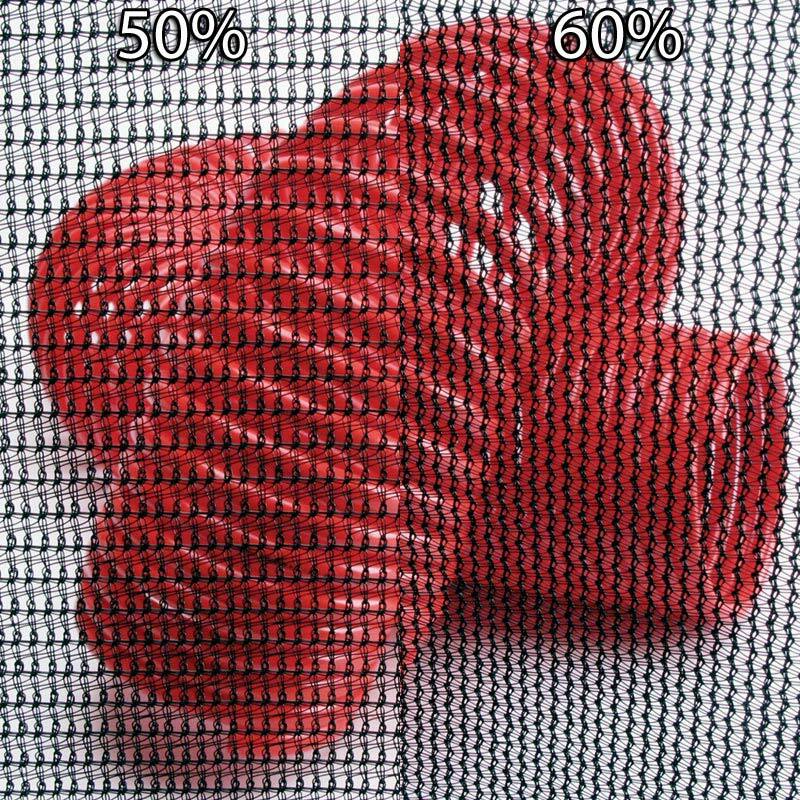 Shade cloth fabric is available in densities ranging from 30% to 90% to suit the unique needs of different types of plants, flowers and crops. It can be used with greenhouses, hoop structures and in field applications. Additional uses include fences, windscreens and privacy barriers. Shade material is rot and mildew resistant, does not become brittle and is water permeable. It offers superior ventilation, improves light diffusion and keeps greenhouses cooler. As a result, shade cloth can help to lower energy costs by reducing the need to run fans as often in the warmer months. Installing shade cloth is quick and easy as is taking it down during the off-peak season. What is reflective shade and how is it beneficial in my greenhouse? Reflective shade helps create an optimum growing climate because it reflects the sun's radiation rather than absorbing it. Reflective shade assists in controlling the light, temperature and humidity balance. Reflective shade screens are also energy-saving. Excellent climate characteristics include low daytime temperature due to maximum reflection and high energy savings at night, which keeps crop temperature close to ambient. TekSupply offers Svensson FLS Reflective Shade for superior year-round climate protection. Svensson shade material prevents heat buildup and produces healthier plants in greenhouses by reflecting heat and light. Svensson reflective shade will provide up to a 25% energy savings and is available in 30 to 80% shade. Svensson FLS Reflective Shade reduces plant stress and improves the efficiency of greenhouse ventilation systems. Manufactured from coextruded black/white polyolefin film, FLS Reflective Shade features a monofilament yarn structure for strength and long-lasting use without significant stretching. Svensson FLS Reflective Shade provides solar reflection and cooling, as well as heat retention. The highly reflective white side limits light and heat transmission for more efficient greenhouse shading during the day. When the temperature drops at night, the black side helps reduce radiated heat loss. When used inside a greenhouse, Svensson FLS reflective shade carries a five-year warranty. When installed outside, this material carries a three-year warranty. 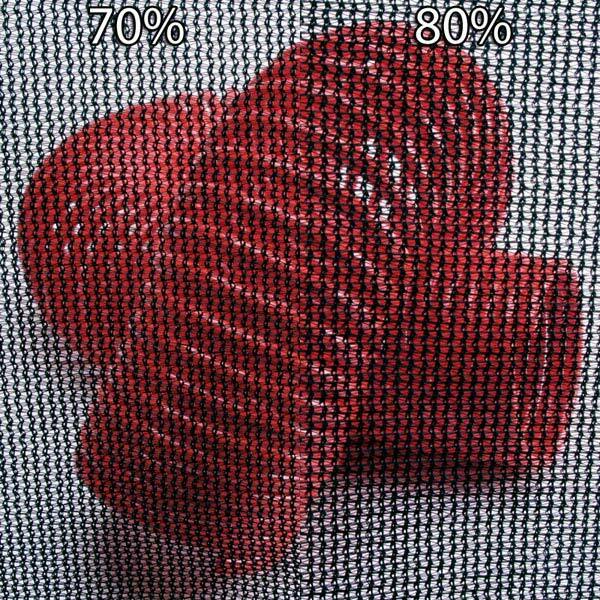 What is the difference between standard shade cloth and reflective shade cloth? 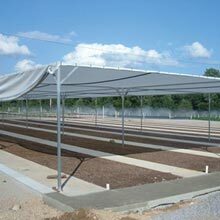 Standard shade cloth is an affordable, extremely durable means of protecting plants and crops from direct sunlight. Shade cloth is placed on the exterior roof of a greenhouse, cold frame or high tunnel where it blocks a percentage of light from penetrating the building, hence keeping plants more comfortable. 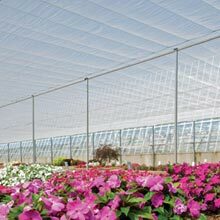 This type of shade material is appropriate for general gardening, farming and greenhouse applications and is widely used in the commercial farming and gardening industry. Svensson FLS Reflective Shade is a high-quality dual-sided material that provides solar reflection, cooling and heat retention. It is made from a black/white polyolefin film and is durable and long lasting. Using Svensson FLS Reflective Shade helps to keep the greenhouse cool during the day without letting the heat escape at night. This material can be used either on the interior or exterior of a greenhouse. Svensson FLS Reflective Shade can also be used in Heat Retention/Shade Screen Systems which are custom designed for each application to provide up to 30% in energy savings and allow greater control over growing environments. Which shade material should I use? Our shade material comes in several shade densities and can be used for multiple applications. 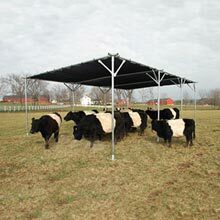 Shade material helps protect livestock, pets, plants, and people from direct sunlight and also works well as a privacy barrier or windscreen. Experience has shown that growers use mostly 50% to 60% density, with the high densities of 70% to 80% used in southern states and for light-sensitive plants in northern states. Many people find that using a high density shade on roofs and a lower density shade on walls is a good method for creating ideal shade conditions. Vegetable gardeners should check with their local University Agricultural Extension office to determine the shade cloth density that is appropriate for both the climate and plant variety. How is shade cloth sold? Shade cloth can be purchased in bulk by the foot in a variety of widths. We also offer prefabricated shade panels that include grommets and are already hemmed for your convenience. We can also create custom shade cloth to suit your unique specifications. What does the shade percentage mean in relation to the shade material? What do the terms "seaming" and "slitting" mean? 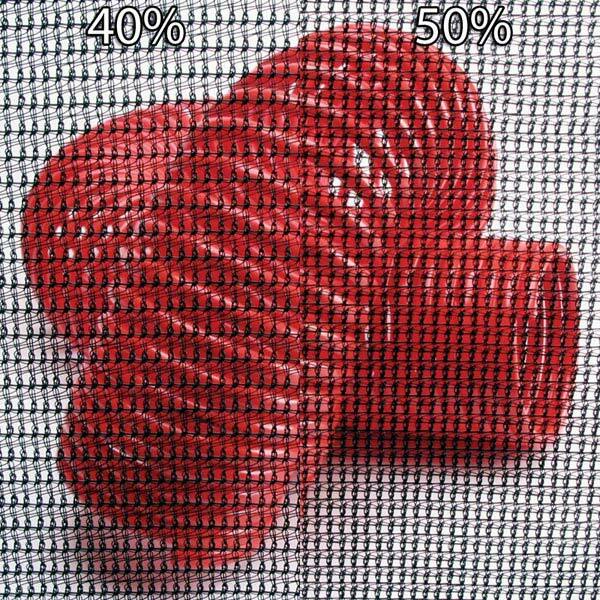 Seaming means that two pieces of standard size shade cloth are joined together to create a larger, custom size shade cloth. Slitting refers to cutting the width of shade cloth from a standard width into a smaller, custom width. My application is unique. Do you take custom orders and if so, will you add grommets? Yes, custom shade cloth sizes are available. Finishing, also known as the process of adding a reinforcing tape border around the shade panels, can be done by our staff. Grommets can be added as well. Reinforcing tape must be used in conjunction with grommets to prevent them from pulling through the shade material. In addition to a neat appearance, finishing the edges around your shade material makes it considerably easier to work with and mount. 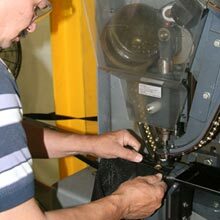 When placing a custom order please specify the following in the special instructions section at checkout: The size (length x width), and the placement and spacing of grommets, if applicable, as well as any seaming, slitting and reinforcing tape information. Please be advised that there is a small panel charge on orders less than 300 square feet. What are some of the accessories I may need to go with my shade material? 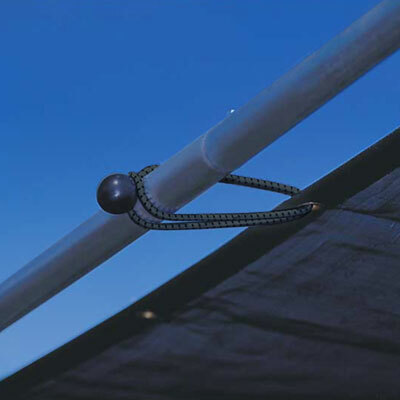 Snugger tie downs are ideal for use with shade cloth that has grommets. 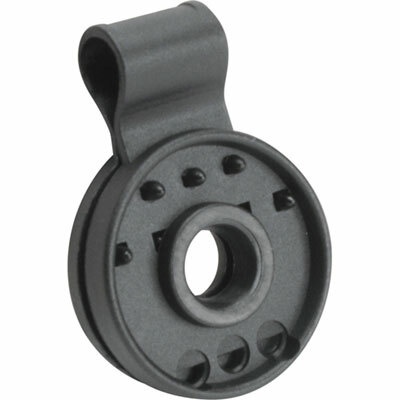 For shade cloth without grommets shade clips can be used to attach your shade cloth to structures or wire supports. No tools are required and the clips simply snap into place. 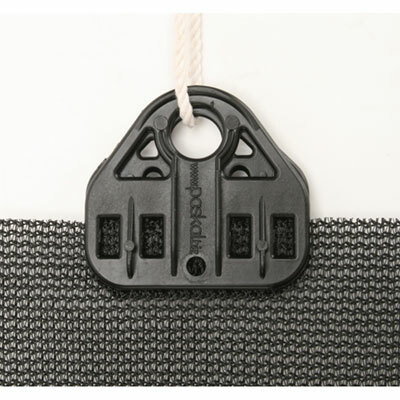 We also offer poly clips for easily securing both shade cloth and netting to frames, wires and cables. 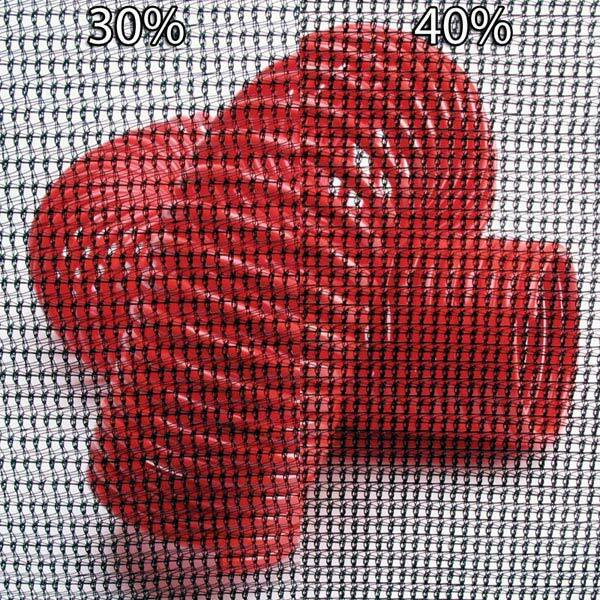 To attach shade cloth to pipe without tape or screws we recommend our labor saver fabric clips as they will not tear or pierce your valuable fabric. Several additional shade cloth accessories are available, to request more information please Contact Us and a knowledgeable sales representative will assist you in choosing the right accessories for your shade cloth application. Will water go through shade cloth material? Shade cloth is water permeable so that rainwater, sprinklers and irrigation systems can keep your plants hydrated. What other applications can shade cloth be used for besides cooling? 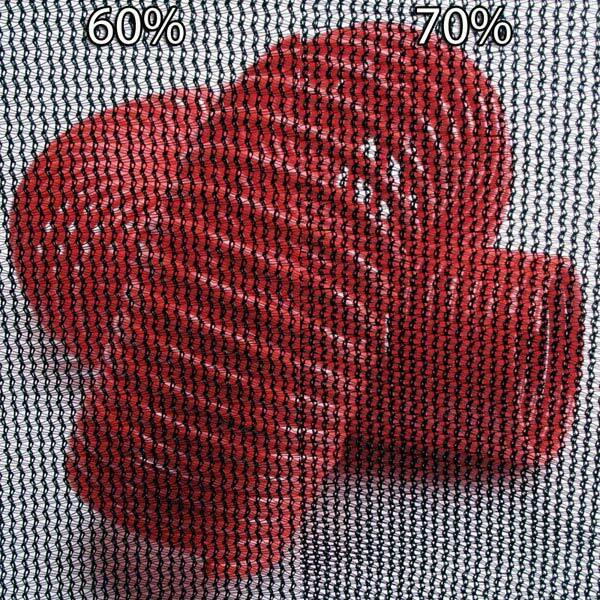 Shade cloth is extremely versatile and has an endless array of uses. Common applications include odor control barriers and temporary fencing and over the top of trucks to keep debris, leaves and peat moss from blowing out. Our 12' wide insect screening offers 12% shade and eliminates insect penetration which makes it ideal for vents and doors. It can also be used to make field cages to help prevent cross pollination and preserve the integrity of open pollinated vegetables and flowers. Shade cloth is lightweight, easy to use and helps reduce UV-penetration, wind damage and dust particles. Have questions about shade cloth? Visit our Live Help page or Contact Us.